Great to see you still doing an amazing job with the forum. 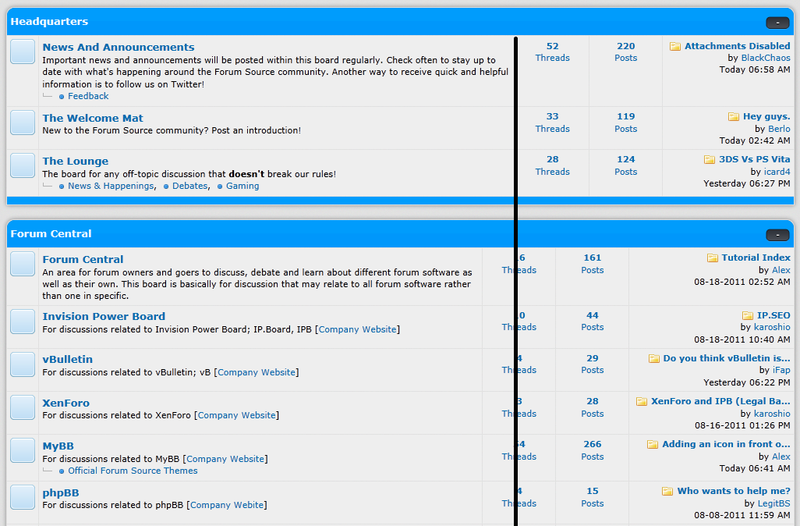 (08-18-2011, 04:52 AM)Fluffybunny Wrote: [ -> ] Great to see you still doing an amazing job with the forum. Aye aye, a lot has been done and our newest theme is almost complete. I hate to be picky, but I think you are limited to only 3 links per showcase thread. (08-18-2011, 06:40 AM)Berlo Wrote: [ -> ] Good work on the forum. After reviewing the guidelines I found out that I'm only limited to two links... Well, that's a shame, but I don't want to be a rule breaker, haha. I'll edit it here soon so it all works out. Thanks for the comments guys! And remember, if you have any ideas or suggestions, please post them. I'll try to fix it though, thanks for the feedback. Plenty of updates have taken place since yesterday, take a look at our small updates board for more information and remember, if you have any ideas or suggestions, please post them, we're open to all ideas!